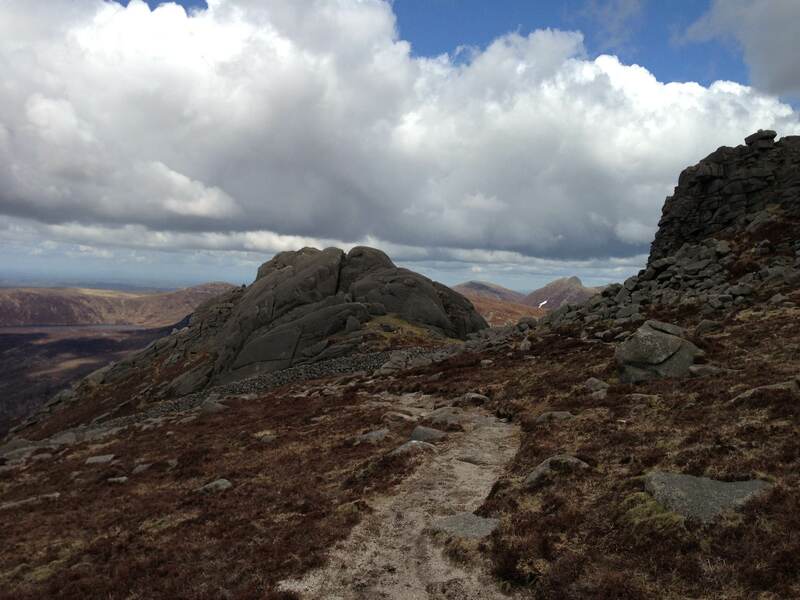 The sun has been shining on Annalong this weekend and last, for people recce’ing the route of the Annalong Horseshoe. If the weather of blue sky and light winds continues it will make perfect conditions for the race on Saturday. However the prediction of weather is as unreliable as the prediction of podium places, it all depends on what turns up on the day. The Mens record is still held by Robbie Bryson from 1986 of 1:56:57. Is anyone on form this year to challenge that? Stephen Cunningham and Deon McNeilly are the obvious contenders. If Ian Bailey isn’t lured to the opening of the Rostrevor trails on Sat his appearance could mean a challenge for 1st place. Jonny Steede has been proving fast for the longer distances this year and could have been in contention had he not been competing in the Causeway Crossing ultra instead. With Robbie training for the WPFG in August, you never know, maybe he will return to run the route again. Brian Ervine held a monopoly on the race up to 2004 with winners since then being Deon McNeilly, Brian, Des Woods, Gary Bailey, Stevie Cunningham and Clive Bailey but only Stevie has been close to the record with 1:57:43 in 2010. 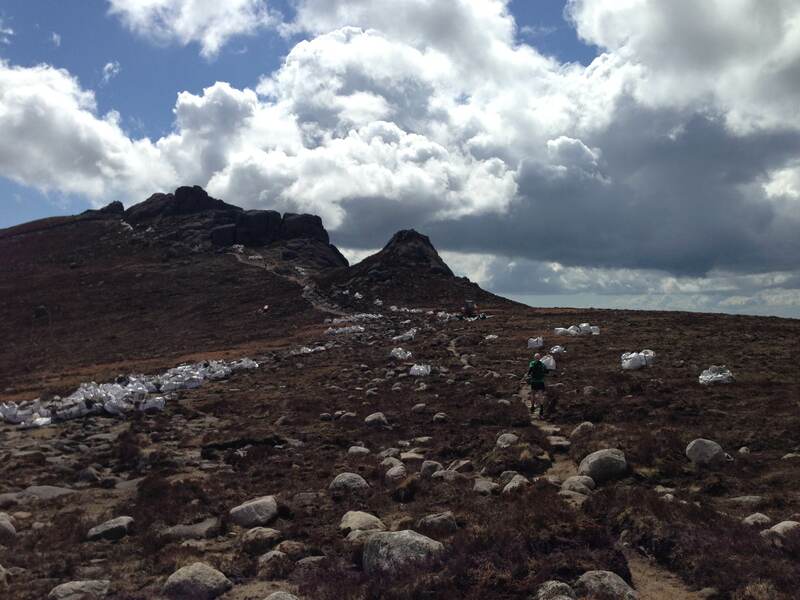 Perhaps the new path at Binnian might bring the times closer to Robbie’s record? In 2012 Ciara Largey set a new female record of 2:26.56 beating Fiona Maxwell’s 2:28:50 from 2007. 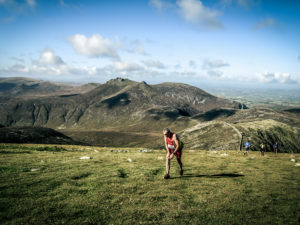 Likely female contenders for podium places will be Shileen O’Kane and Diane Wilson closely chased by Anne Sandford, Violet Linton or Denise Mathers, the later 2 proving themselves strong this year for the longer races and so in contention for a race like the Annalong Horseshoe. Of course the battle of strengths doesn’t stop amidst the front finishers, there will also be a fury of ruthless determination going on further down the field. There are those winning their age categories, there are the guys who’s conquest is to keep ahead of the 1st lady, and there’s the heated crusade between Mary Mackin & Willie John Brown. 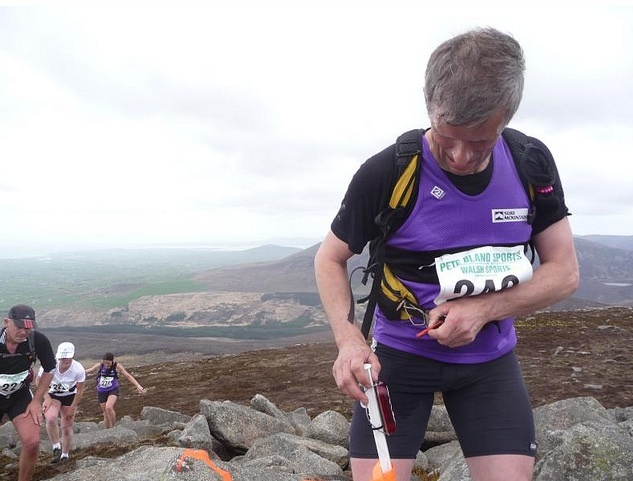 The Annalong Horseshoe is one of the classics in the Northern Ireland Fell running calendar, having been run every year since 1982. While your route choice will determine the race length, GPS measurements indicates a optimum length of 13.1 miles with a climb of 1550 metres (5084 feet). It is generally runnable over most of the route.